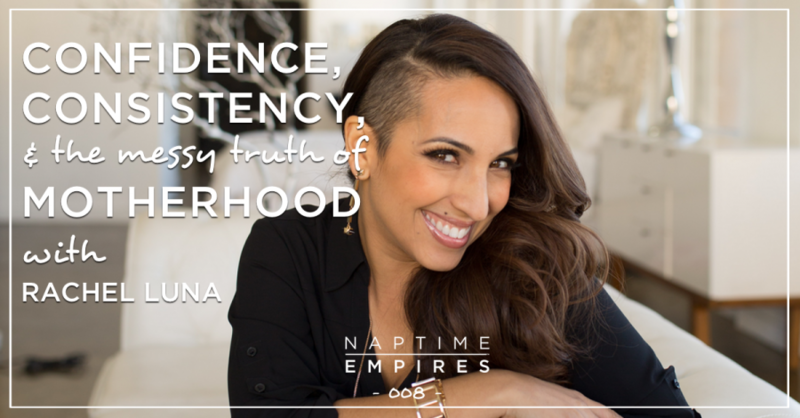 Rachel Luna is a best-selling author, international speaker and elite business coach. A former US Marine, this 4 foot 11 inch firecracker (+ mom of two daughters) has a reputation for inspiring confident action and helping her clients double, triple and quadruple their income. If you’re stuck in a rut and want to increase your income and your confidence so you can get you to the next level, Rachel’s the woman to call. Like many of my biz buddies, Rachel and I met years ago through the magic of FB – more specifically, through our mutual buddy Andrea Crowder (who has her own ep coming up later this season!). We got to meet in real life in Vegas in 2016 (Deke thoroughly enjoyed snuggles from Auntie Rach) and if you can believe it: her energy is even bigger and MORE contagious in person. Real talk is REAL. TALK. with this woman. She just goes right there with you. And it’s so refreshing. You’ll hear exactly what I mean less than two minutes into the convo.